Those are just gorgeous words. Is this another etsy find? 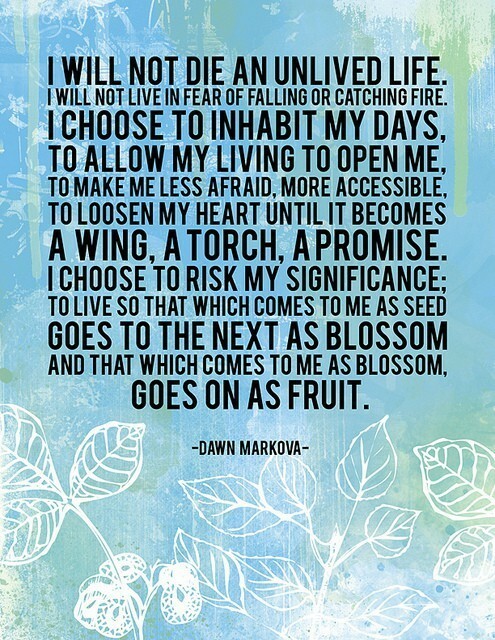 Just noticed her name is spelled “Dawn Markova” instead of “Dawna Markova” – which it should be. FRAUDULENT. Beautiful! I also would like to know where I can find this. Oh man. This is bad, but I don’t know who made it? I found it out on the interwebs one day – posted and then reposted and then reposted by various people. I don’t have a source (except to say that they spelled her name wrong). Blergggg.